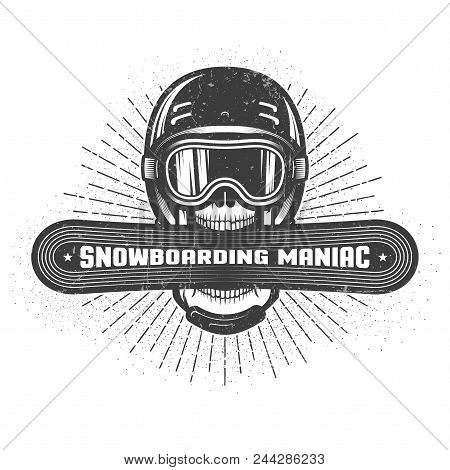 Emblem of the snowboarding maniac. Skull in sports helmet and ski goggles holds snowboard in wide open mouth. Worn texture and dots on separate layers and can be disabled.